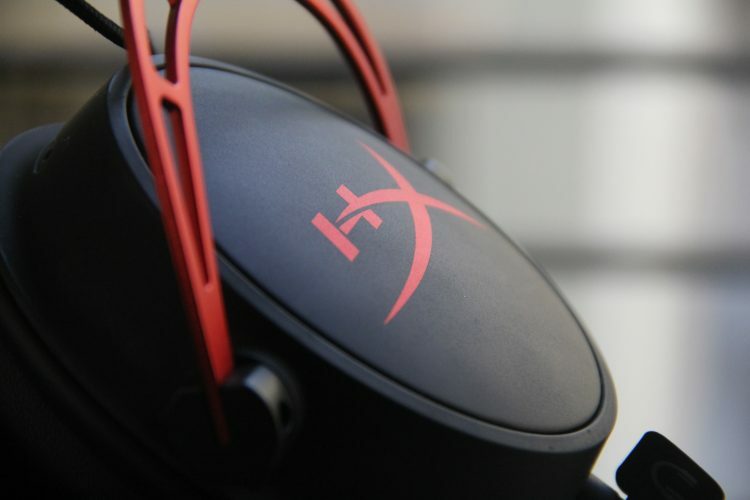 HyperX is very well known for its odd affair with clouds, I’m not kidding, for some reason the company loves to name most of its gaming headsets with a cloud in front of it. Like the Cloud Stinger, Cloud Revolver which are some of the gaming headsets from the peripheral maker. Well, we are no one to judge. HyperX, you go make the cloud proud. Anyways, getting back on track. We were able to get our hands on one of their flagship gaming headset, the Cloud Alpha. 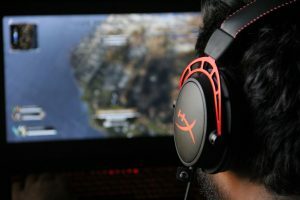 One might wonder what exactly makes these gaming headphones stand out in this huge market which provides devices such as the Steelseries Arctis 7, Logitech G433, Astro A10, and many others. Well, HyperX markets this device with the statement that it will provide you with the best quality and a special distinction feature which is enabled due to the two-level Chambers it has inside each audio driver which basically helps them separate the bass from the mids, high and the lows. In fact, the official channel of HyperX has made an informative video about the same which you can check out by clicking here. As they say, the first impression is your last. The box comes with a red and black accent which is then carried forward to the device as well. 10 marks for consistency. You can just slide out the box which contains all the technical information along with some customer care numbers which hopefully we won’t have on our speed dials. And last but not least we are left with a huge box and a HyperX branding on top of it which I’m starting to like nowadays. Opening up the box you are welcomed with a greeting card and underneath it is the package you came here for followed by some accessories which consist of the user manual and a microphone. Digging deeper we get yet another box which packs in the 3.5mm headphone jack that contains volume control roll-on, as well as the mic enable-disable button which I have to say, is very helpful in certain situations. Also, you get another cable which is a splitter that you can plug into a PC since you need a connection for mic and audio differently. 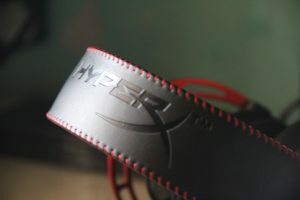 HyperX has really put some thought into this, it’s nice. The quality of both the included cables are actually very impressive. From a company such as HyperX, you expect high-quality cables and products and they have managed to pack that in with this one. The braided cables will help the durability and the length of the wire is also decent enough so that you can sit far from your laptop, or any other console you game on. The volume control and mic button are also placed close so as to access it easily. Talking about the microphone, I’ve got reviews from my friends in the game and according to them this the clearest sound they’ve heard from my side. I don’t know if they were pranking or whether they were just plain serious. But really, I’ve tested the mic on Discord as well and I have to say it catches the voice perfectly and does exclude some outside noise such as the fan in the background and etc. The mic is also very flexible which helps you to move it close or far from your mouth whenever necessary. Moving on, we take a good look at the design and build quality of the headsets. The Cloud Alpha is kind of similar when compared to Cloud II in terms of design. On the other hand, the Cloud Alpha is one of the many headsets in the gaming department that is actually light even though it packs in so much and it looks bulky. Kind of a surprise there but yeah, it is what it is. As for portability, we mentioned earlier about the detachable cables and microphone which makes it very easy to carry around wherever you want to. The aluminum frame is flexible to the end and still, maintains the structural rigidity which hands down is one of the best things I’ve seen in a gaming headset. 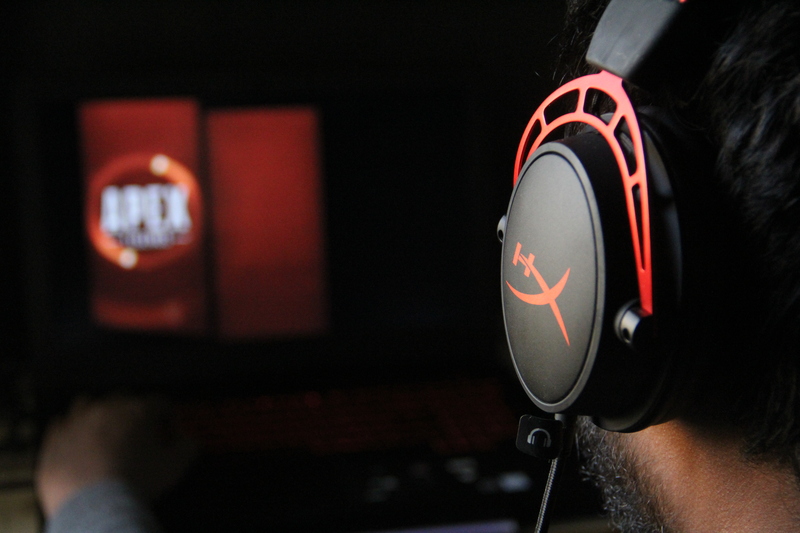 The first thing that you see about the headset is the top, it has a braided red string which follows the entire headband with the HyperX branding in between and a metal frame with the red accents yet again. The side of the headsets also consists of the branding but a shorter form of that. If you’ve been able to get hands-on previous versions of the Cloud headphones, you’ll see a big difference on the sides of it, gone are the day of brushes, now the headphones come with a matte finish on either side which makes it even more attractive and feels better on touch. All the best quality audio in the world and no comfort makes a headphone dull, I just made that up. Luckily, this is not the case with this pair of Cloud Alpha. The padding on the cans is consistently soft and since it is signature foam from the company it does not disappoint. I have to say the extra foam on the headband really helps a lot. During my usage, I have not felt any fatigue although after around 3-4 hour of an intense gaming session the top of my left ear started to pain a little bit. However, this won’t be the case with every one of you since the skull size also plays a big part in this and also, probably because I’m not used to over the ear headphones a lot. But with time I’ve been able to cope with it and there on I’ve been able to continue my gaming sessions and also movie sessions with lesser fatigue. One downside of the headset which I found was that if you are not gaming on your PC and just think of chilling on your bed and watching some TV show or movie you’ll have to lie down straight since the size of the headphone is so large you can’t move towards your left or right in order to get in that comfort zone. However, the sole reasons for this headset is gaming so we don’t mind that much. 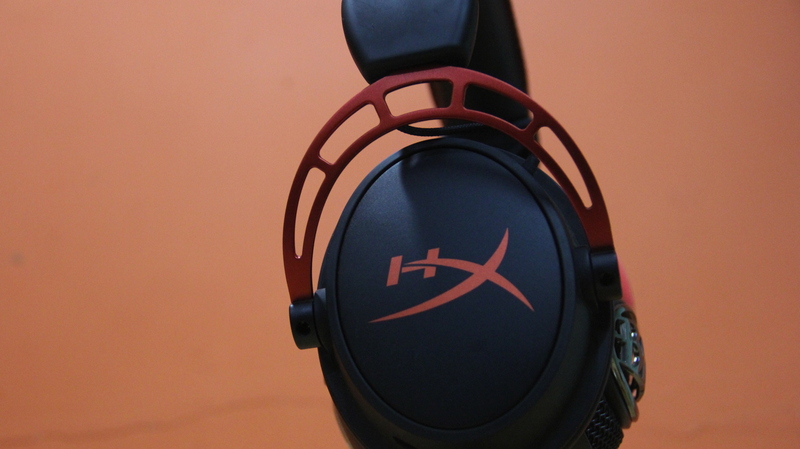 The Cloud lineup from HyperX has never let us down especially in terms of its audio quality and the Alpha just keeps the legacy going. This according to me is a headset every gamer should have in order to boss the close combats in FPS games and even in Battle Royale games such as PUBG, Apex Legends, Fortnite and etc. In these kinds of games, sound plays a very vital role, the player has to mask the footsteps, the gunshots aimed at him many other aspects. 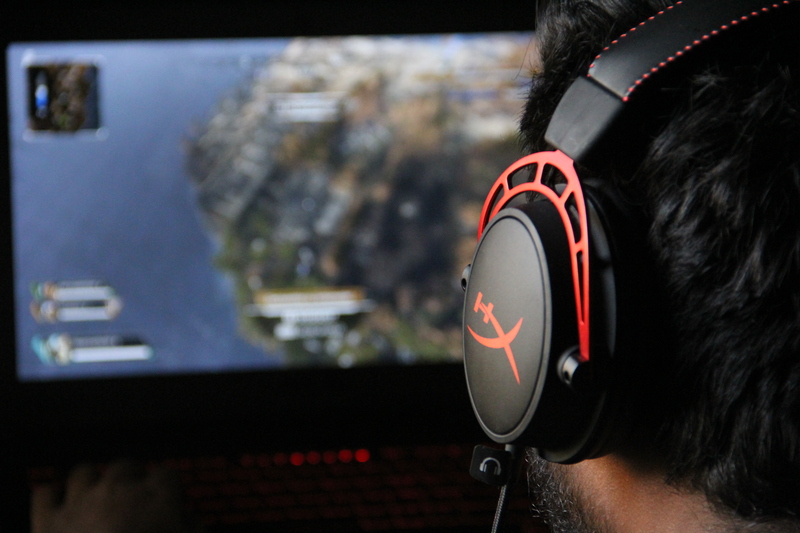 With my time on the Cloud Alpha I was able to play intense sessions on CS: GO, Apex Legends and even tried my hand on PUBG Mobile with the Alpha, although I wouldn’t recommend this headset for mobile gaming. While playing CS:GO and Apex I was very well aware of my enemies and I was able to sketch out their next move with the help of the crisp sound that I was receiving via the headset. The new dual-chamber feature the company has added in might be one of the reasons the sound output is so crisp and while playing songs you can really figure out the bass. If you are familiar with CS:GO and the infamous Dust II map you might know how important it is to give calls about the enemies to your teammates and without proper communication that is not possible. Earlier, I used to communicate with my team members via my earphones mic which created a lot of static and since it picks up almost every noise in the room my teammates were annoyed so they’d tell me to rather shut down the mic. The first thing when I received the Alpha was to connect the mic and boot up my laptop. I have to say my team members said that there was a slight improvement in the audio quality and since the mic does not pick up unnecessary noise from the room it was a peach. Nowadays, gaming is not just a thing you do while you are bored. People make a living out of it. 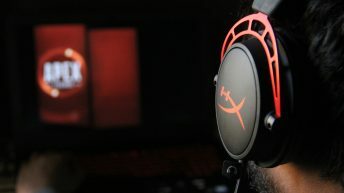 Now I have to say the HyperX Cloud Alpha is without any doubt one of the best headphones out there in this segment and with such robust build quality and immersive sound quality and the red and black “gamer” finish is just icing on the cake. Although the device lacks USB and Bluetooth connectivity and also misses out on RGB for the price it comes at, but other aspects of the device do really make up for it. 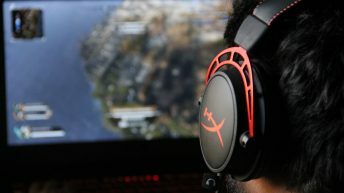 The HyperX Cloud Alpha as of today retails at Rs. 9,809 on Amazon.in. The pricing is very aggressive in my opinion but with the features that it packs in it is understandable. For gamers who are looking for a headphone which they can rely on, build-quality wise, also for the audio upper hand and last but not the least for its comfort I’d say, the HyperX Cloud Alpha should be your first choice.